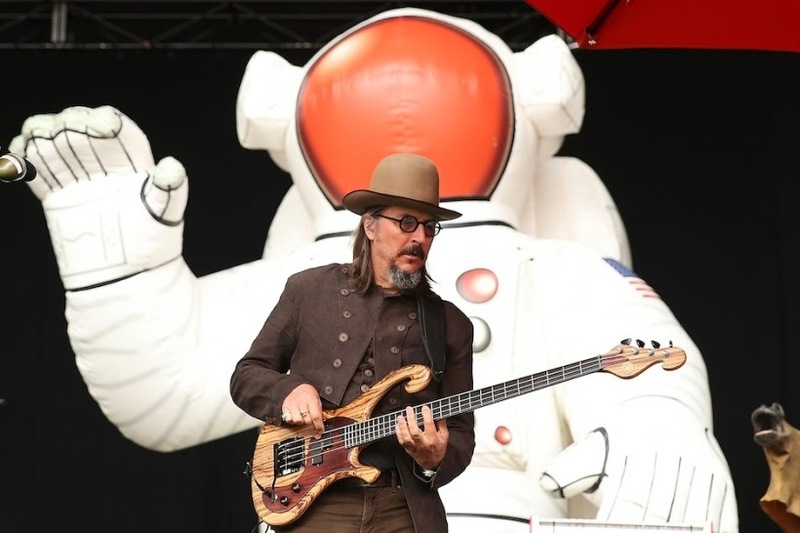 When SPIN spoke to Les Claypool back in March, he noted that fans have come to expect big, theatrical productions from Primus—things like the Willy Wonka and the Chocolate Factory-inspired New Year's Eve show that they put on back in January. Today, they've announced that they've caved to those exact expectations by putting together an album-length remake of the music from the famed Gene Wilder film. In an interview with Rolling Stone, Claypool announced the high-concept record, titled Primus and the Chocolate Factory with the Fungi Ensemble, as well as sharing the news that this will be the first full-length featuring all of the band's core members since 1995. With drummer Tim "Herb" Alexander and guitarist Larry LaLonde at his side, Claypool has created what he sees as a warped version of one of his childhood favorites. "I don't think it was until Jaws came along that I was more obsessed with a film," Claypool said. "Prior to that it was everything Wonka." The Frog Brigade leader describes the resulting product as "early Peter Gabriel meets Dark Side of the Moon meets the Residents." He's already shared the reinterpretation of "Pure Imagination," which is just about as baffling as that description makes it sound. Check it out below along with the album cover.